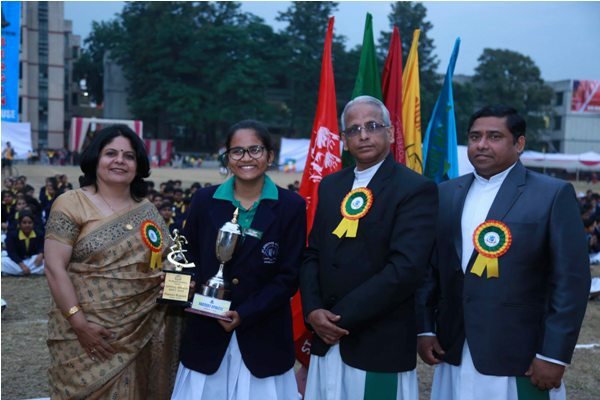 The overcast afternoon of 3rd October 2018 witnessed the 85th Annual Sports Meet in St Joseph's Academy, Dehradun. 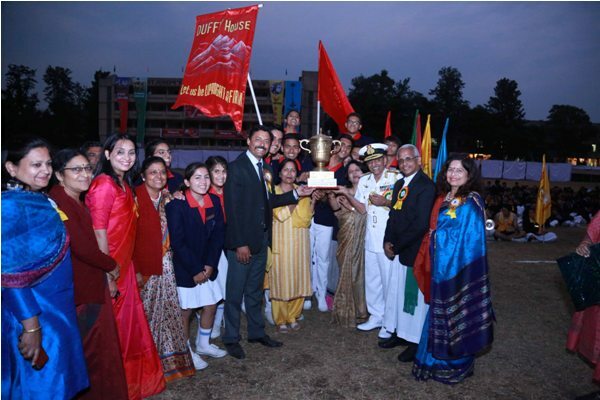 The students of the entire school participated with great vigour and enthusiasm. 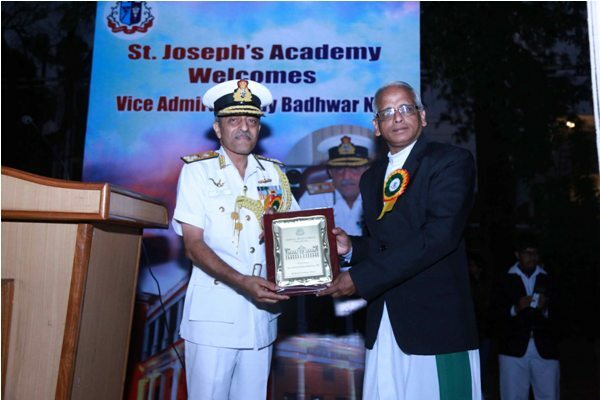 Vice Admiral Vinay Badhwar NM graced the occasion as the Chief Guest. He was accompanied by his gracious wife, Mrs. Amrita Badhwar. Rev. Brother Peter Ryan, Congregational Leader of Patrician Brothers, was the Guest of Honour. They were welcomed with the Guard of Honour. The meet commenced with the hoisting of the flag by the Chief Guest. It was followed by the relay of the Torch. The Sports Secretary and Vice Principal, Brother Binoi Luckose administered the oath to the athletes after which the Chief Guest declared the Meet open. This was highlighted by the release of balloons in the four House colours amidst boisterous cheers by the children. A welcome dance by the girls of classes IX and X was presented. 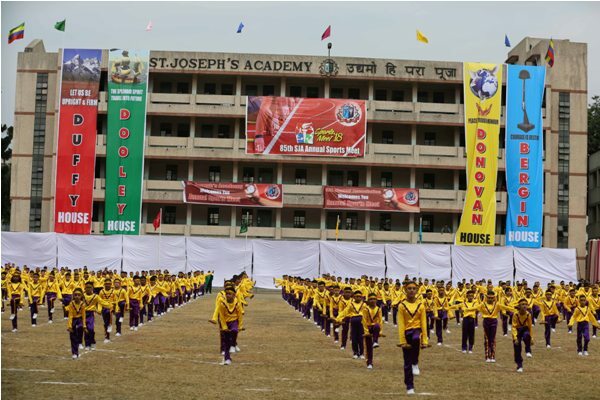 The students of classes IV and V presented a smart Drill in purple and yellow costumes. 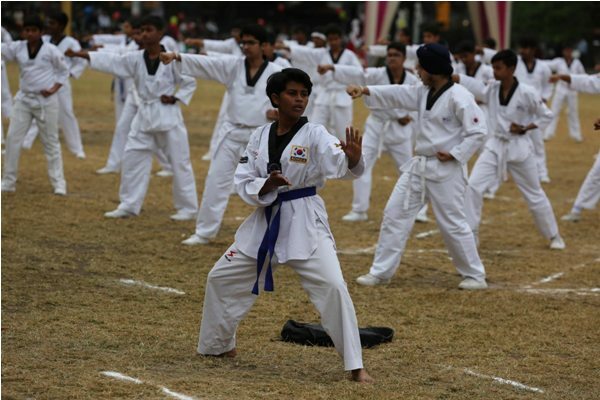 This was followed by an impressive show of endurance by the senior school boys in Taekwondo. The boys of the Middle school smartly displayed their prowess in the PT Drill with great zeal. The final feast to the eyes was presented by the Middle school girls dressed up as the defence personnel of our country. The three forces seemed to come alive on the field. 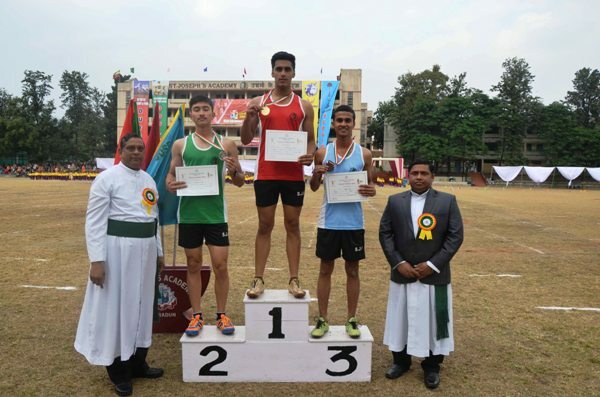 The marathon and various track and field events had been conducted in the school preceding the final sports day. The Meet saw several races and mix relays for all categories. 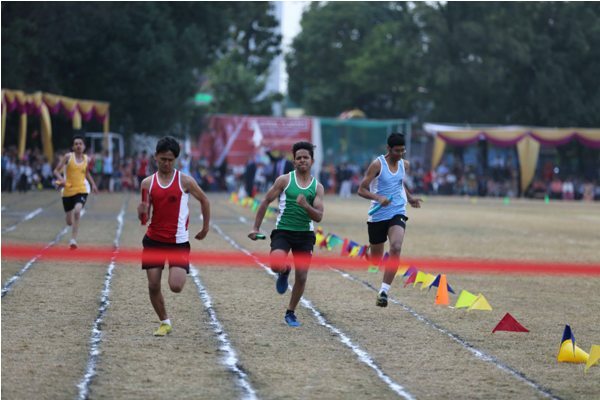 The cycle race of 5000 m for senior boys was cheered for uproariously by the students. 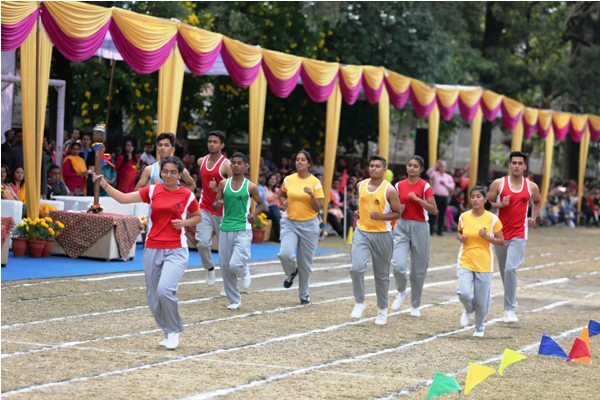 The students of various invitee schools participated enthusiastically in the invitational relay. In keeping with the zeal ingrained in them, the alumni were active participants in the invitational relay specially organised for them. The school came together in perfect synchronisation to the drumbeat and the school band for the March Past. The Chief Guest gave away the stellar prizes of the day to the Champions. He addressed the audience and appreciated the efforts of the participants. The Vote of Thanks was given by the Principal, Rev. Brother Babu Varghese. The Meet concluded with the lowering of the flag. Finally, the environment reverberated with the strains of the school song.